I checked out the various breakfast options last night and found the hotel buffet has an All-U-Can-Eat for $11.99. So I decided to give it a go, thinking I’d fill myself up for the day as it’s a reasonable price for a hotel. Getting downstairs at 10 am, I find the restaurant is pretty empty. There’s a vast range of food from traditional breakfast stuff to meat dishes, cheese, Asian options and all sorts. I stick to fruit & yoghurt plus eggs & bacon with coffee & toast. It’s good quality and I think good value. By the concierge desk I find the guest computers and print out my 49ers ticket for next Sunday. I go for a walk outside and it’s nearly noon but streets are practically deserted apart from some drunks, homeless vagrants and general undesirables. I actually feel very uncomfortable. Some guy approaches me about something but I quickly walk on, crossing the road, and I then see him hassling some other people. As I photo the Reno Arch I’m approached by a young lady wanting a light for a cigarette. I just want to get out of here. It’s the middle of the day but this area just feels really seedy. There’s nothing around here anyway, there’s no retail or cultural value anywhere that I can see, it’s a literal desert of anything interesting in the middle of a city. 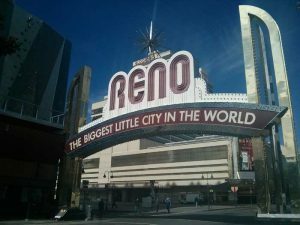 So I decide Reno is a bust which shouldn’t come as too much of a surprise when TripAdvisor’s Things To Do in Reno had two items, the first of which is the f******* Arch! (The Arch is just an arch over the road in the centre of downtown – there’s nothing “to do” other than walk past it and take a photo…) Second rated was the Museum of Art, which tells you people’s priorities. There’s no city tours, no places of interest, zilch. The only reason to be in Reno I can see is for the casinos where you can stay inside their bubble 24/7. Which you may as well do because there’s nothing in the city itself. NB. Since my visit TripAdvisor has revised its pages and now the Arch is a lowly 21 out of 139 Things To Do In Reno. Seriously, in 2016 before my trip, there were only 2 Things listed and the Arch was #1. 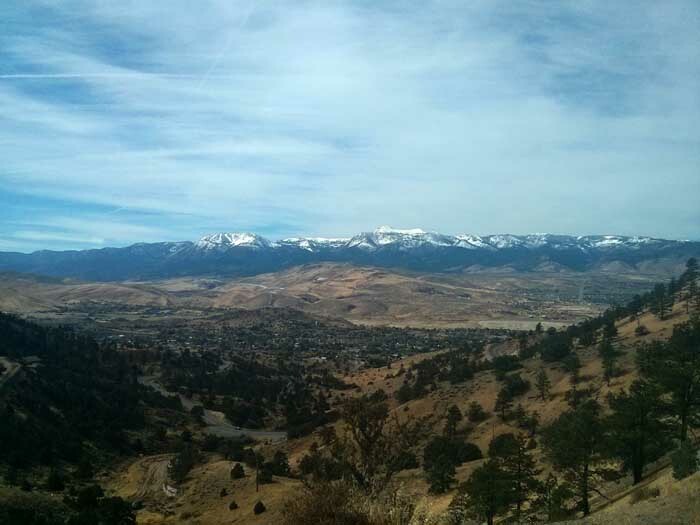 Hence I’m going to Virginia City. 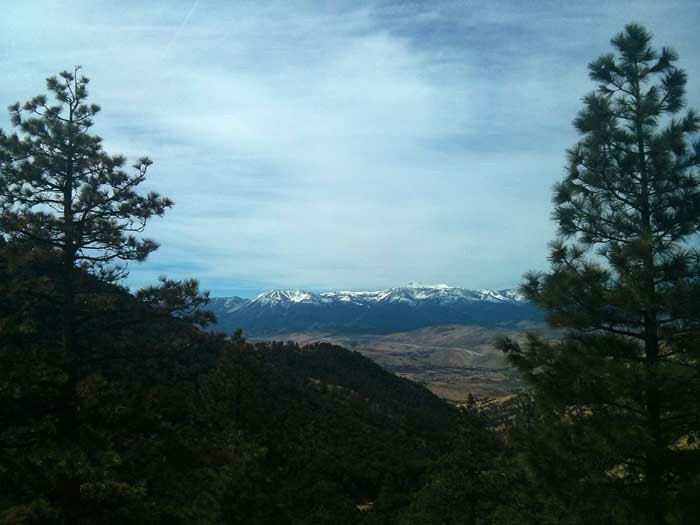 It’s a brilliant drive up the mountain, great road, and great views. 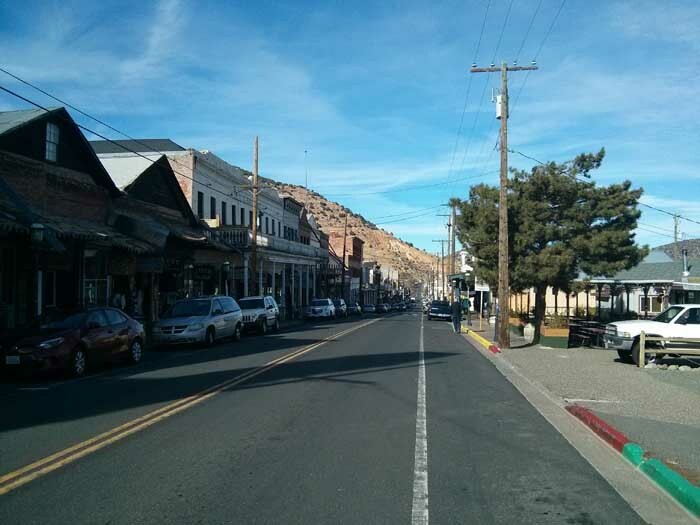 The city is almost as it was in 1860. 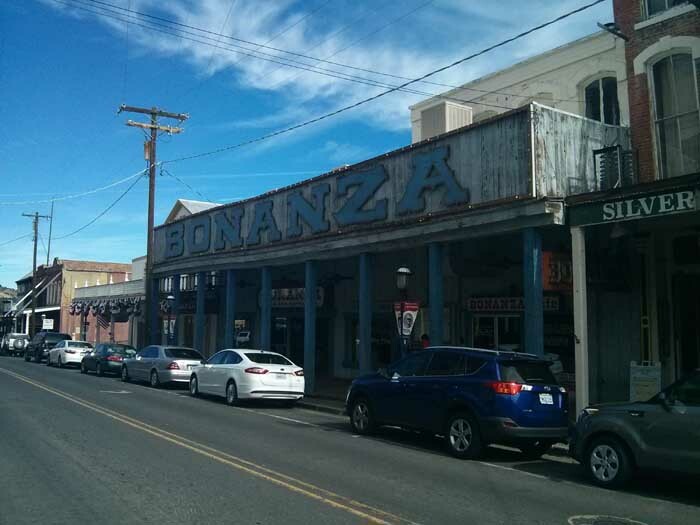 There are board sidewalks and numerous restored buildings dating to the 1860s and 70s. Sure there’s some tat shops but also some quality outlets. I take the trolley tour after chatting to the driver for a while, while we waited for other people to turn up. 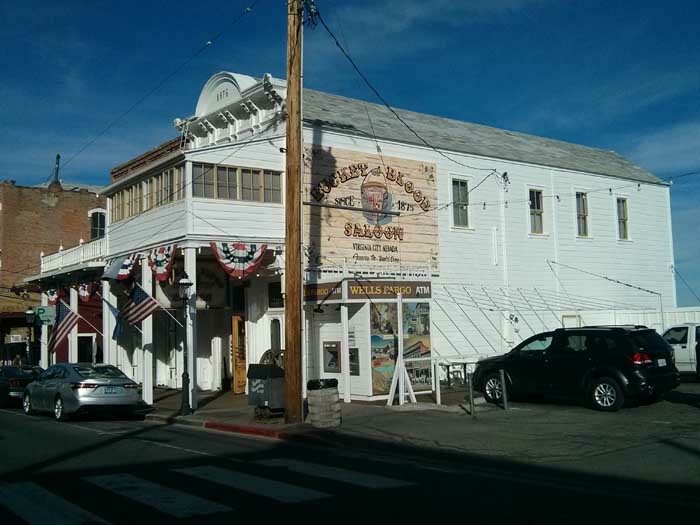 The tour’s good and afterwards I walk around town, have a coffee in an old saloon – the Bucket of Blood Saloon! 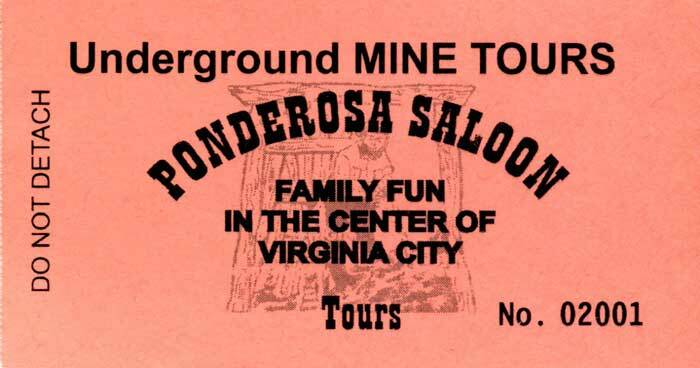 – and then visit the Ponderosa Saloon for a real underground mine tour. It’s very good and in a real old mine. I learnt lots of interesting stuff and it’s been a good excursion out. 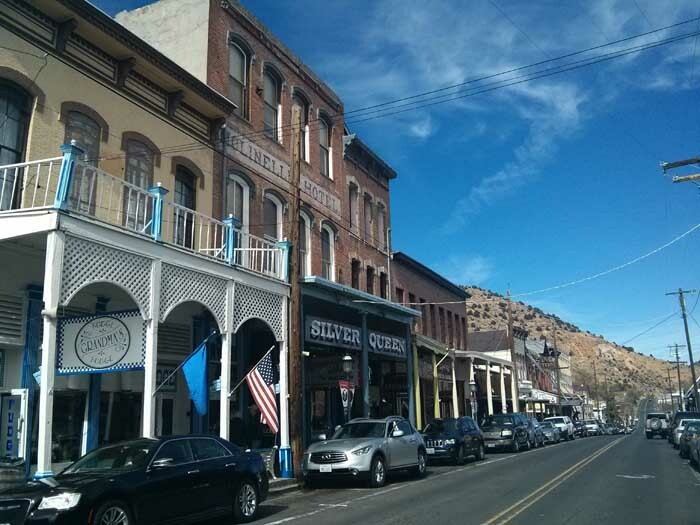 Virginia City is definitely worth a visit. Because, gosh, the band are good. They play covers, but differently, with twists to the original. But not so different that you can’t recognise the song. They are so very different to the idiot band in Stateline. 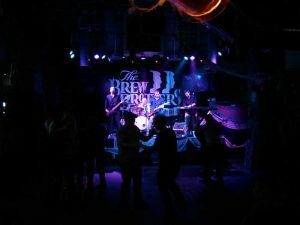 They’re a really tight 4 piece, no pretensions, no posturing, no ego, just get on with it. And play bloody good music. It’s great! They are the Mike Reeves Band I think. 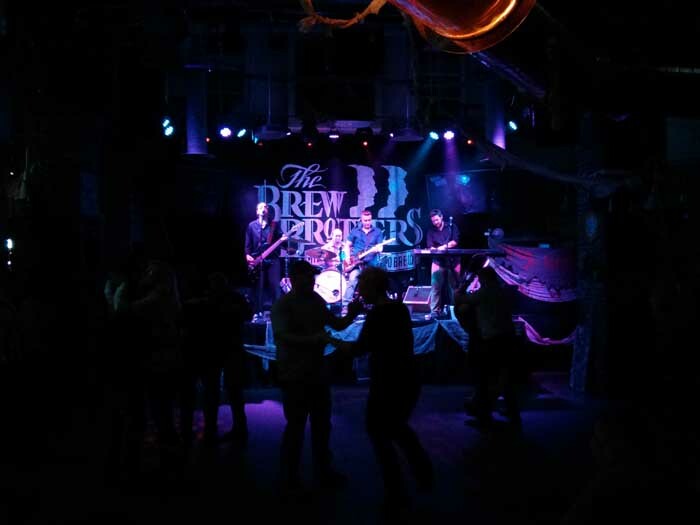 It’s a small-ish crowd, some folks are dancing and even I’m moved to stand up and shake a leg in time every now and again. It’s so good I decide to stay until the set finishes at 1 am. Which I do and it continues to be really good music all night. Great stuff. ‘Right bloke’ left a bit earlier as I think he said he had work tomorrow but when the band finishes I shake hands with Billy, we bid each goodbye, and I head off into the night. What a great day.